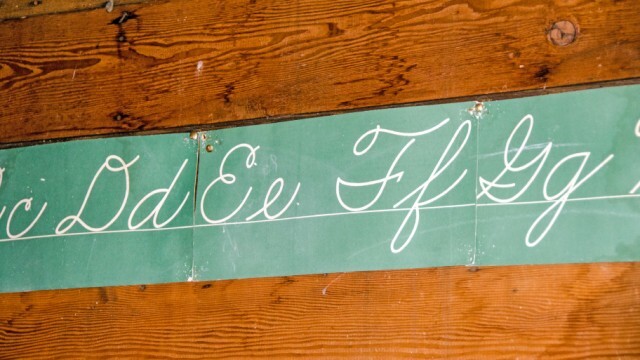 Across the country, many school districts dropped cursive from their curricula years ago. The new Common Core State Standards now being implemented in most states never mention the word “cursive.” Given longhand’s waning popularity, lawmakers in several states, including Tennessee, are now trying to legislate a cursive comeback. The arguments in favor of cursive usually revolve around heritage or tradition. Some parents want their children to be able to read a letter from Grandma as well as our nation’s founding documents. Some cursive supporters also invoke science, arguing that learning cursive helps young brains grow more than learning basic printing does. Professor Amy Bastian, a motor neuroscientist at the Kennedy Krieger Institute at Johns Hopkins University in Baltimore, has dedicated her career to studying how the brain talks to the body. “The more variety of things you do in the fine motor domain, the more variety of hand movements you make, will improve your dexterity,” Bastian says. That may sound like a ringing endorsement for cursive handwriting, but when asked if cursive writing is better for a child’s development than printing, Bastian makes it clear: She doesn’t know. Cursive is good, she insists, but it’s not certain that it’s better or more important for a child’s development than printing.